Renting in Gramercy: What will $2,700 get you? Curious just how far your dollar goes in Gramercy? According to Walk Score, this New York City neighborhood is a "walker's paradise," is very bikeable and is a haven for transit riders. Data from rental site Zumper shows that the median rent for a one bedroom in Gramercy is currently hovering around $3,400. Listed at $2,700/month, this studio apartment is located at 200 E. 15th St., #2B. In the unit, you can anticipate hardwood floors, a terrace, wooden cabinetry and stainless steel appliances. The building has on-site laundry, garage parking, an elevator, concierge service and a door person. Animals are not allowed. Next, there's this studio apartment situated at East 17th Street and Irving Place. It's also listed for $2,700/month. Amenities offered in the building include on-site laundry and an elevator. In the unit, there are air conditioning, hardwood flooring, high ceilings, a dishwasher, wooden cabinetry and stainless steel appliances. Pets are not permitted. Next, check out this studio apartment that's located at Lexington Avenue and Gramercy Park North. It's listed for $2,700/month. In the unit, you'll get a dishwasher, a walk-in closet, air conditioning, hardwood flooring and stainless steel appliances. When it comes to building amenities, expect an elevator. Pet lovers are in luck: cats and dogs are permitted. 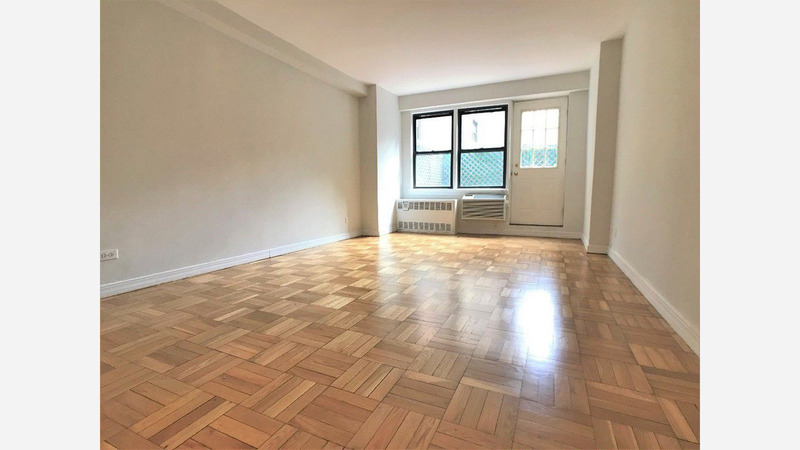 Located at 74 Irving Place, #R8, here's a one-bedroom, one-bathroom apartment that's listed for $2,700/month. In the unit, you can expect hardwood floors and garden access. Neither cats nor dogs are welcome. Finally, located at 219 E. 23rd St., #12, here's a studio apartment that's listed for $2,625/month. In the unit, you can expect air conditioning, hardwood flooring, high ceilings, a walk-in closet, a dishwasher, stainless steel appliances, wooden cabinetry, granite countertops, in-unit laundry, recessed lighting and an exposed brick accent wall. Pet owners, take heed: cats and dogs are permitted.